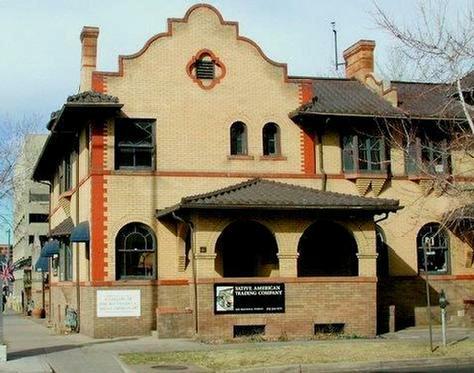 Located in a historic mission-revival townhome built in 1906, Native American Trading Company is one block from Denver's civic center and is across the street from the newly expanded Denver Art Museum. Our gallery is as inviting as a tastefully decorated home with treasures like mid-19th century Saltillo serapes and Chief’s blankets giving it the feeling of a museum. Germantown colors of Navajo weavings brighten the walls. Authentic pottery from native pueblos of New Mexico and from the village of Mata Ortiz in Mexico fill windows, shelves and beautiful antique display cases. For earnest shoppers, Native American Trading Company offers a selection of authentic handmade American Indian art at prices that are very good values. For the casual browser, the gallery depicts important lessons in the history and culture of the American West. Located at 213 West 13th Avenue at Bannock St across from the Denver Art Museum. Our gallery is currently under renovation, open by appointment only at this time. To schedule an appointment please call 303-534-0771.